So here we go. One more step in my life-long quest to make the world appreciate the genius of this quiet little novel. Millions is the story of two brothers—worldly, real-estate-savvy Anthony and pious Damian, the narrator, who, at ten years old, strives to emulate the lives of the saints. In the wake of their mother’s death, the two boys and their dad are trying to start over—new city, new school, new house. And one September morning, in the backyard of that new house, the two boys find a bag containing one million pounds2. With only seventeen days before Europe switches to the Euro and the money becomes worthless, the brothers can’t agree on how to spend it. Anthony wants to buy what our narrator deems “worldly goods,” while Damian wants to give the money to the poor in order to become more saint-like himself. However, the boys quickly discover that there are dangerous men looking for the lost money, and they will stop at nothing to get it back—even if it means taking out Anthony and Damian in the process. There is no way for me to make a concise list detailing what I love about this book. I love Britishness of it. I love Damian’s voice. I love that I now have a vast and almost useless3 knowledge of the lives of saints because of this book. I love that I laugh every time I read it4. I love that I cry every time I read it. But mostly, I love that what is on the surface a heist story about two kids irresponsibly spending a lot of money, is really about how people move on in the wake of a tragedy. I love that this is not a novel about grief, and yet the theme is subtly and deftly implanted on every page of the novel. I have read this book dozens of times—growing up, it was my family’s go-to audio book for road trips5. I have since reread it on my own, and even done papers for school on it. I am amazed by how each time I read this book, I feel like I get another layer of it. What I at first thought was simply a feel-good novel has become a feel-everything novel. This is a book for anyone who has ever lost someone they loved. For anyone who has ever wanted to be better. For anyone who has ever been bullied because they were being themselves. For anyone who has been misunderstood. For anyone who has lived without excellence and known they could be better. But mostly, Millions is for anyone who loves that magical, transportive power of magnificent books. It is a quirky and delightful novel that I will keep reading again and again. Before I die, I will probably read it a million times6. Albeit only a mildly successfully one. As in British money, because that is where this book takes place. Not as in “one million pounds of…” and then I forgot to include the last word, leaving you in suspense. Though I did once dominate the “saints” category of play-at-home Jeopardy. So not totally useless, I guess. In what other novel do you find a fourth-grade boy who receives visitations from chain-smoking saints? Side note—the audio book is extraordinary. Highly recommended. Ahhhh!! Bad pun, bad pun! Sorry guys, last lines are hard! Have you read and loved this book? Chime in and tell us what you think in the comments! Mackenzi Lee is currently earning an MFA in writing for children and young adults at Simmons College, meaning that someday she hopes to pay back her student loans on the lucrative salary of a young adult author. She loves sweater weather, diet coke, and Shakespeare. On a perfect day, she can be found enjoying all three. 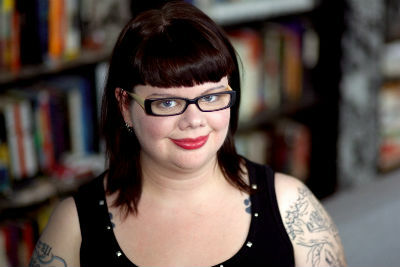 She blogs at mackenzilee.wordpress.com, sometimes about books, sometimes about Boston, and sometimes about Benedict Cumberbatch. I used to write for fun. I didn’t really want (or understand) real notes, and I had no idea how to actually edit. I had a blast creating stories and characters, and that was enough. I knew I wasn’t really ready to have these things published and I felt safe in that. 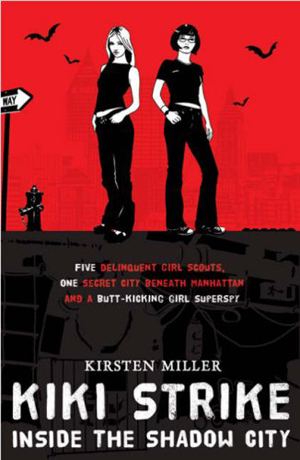 In the mid 2000s, I discovered Young Adult literature, and despite that I was really mainly interested in writing about people in high school, I’d never realized there was a whole genre for books like that. I fell for it, hard. I consumed books like it was my job. (Note: It was not my job.) I was excited about it. And I knew I wanted to do it, for real. This wasn’t my turning point, though of course it sounds like it. I buckled down. I tamed my ideas into real plots. I learned about word count and manuscript formatting. I exchanged my work in progress with a critique partner who scared the hell out of me with her talent, and discovered getting notes from someone you respect is the smartest gift you can bestow on your book. People said getting an agent was a tough journey, but it just wasn’t for me. It was scary and the rejection stung, but within a few months I had a sleek and revised manuscript and the agent at the very top of my want list. Things were happening! Big shot editors wanted revisions! Things were really happening! Aaaaand…then they weren’t. The book would get this far and then rejected. Again, again, again. This was when paranormal romance was at its hottest. I heard lots of, We already have our contemporary title. We can’t consider contemporary right now. We like it, but it’s quiet. We can’t buy a quiet book. So, I kept writing. I’d tried, several times and very unsuccessfully, to work on a story I couldn’t get out of my head, but this time I made it work. I was so, so proud of it. But then it went just the same way. A lot of people liked it. Some editors even said they loved it. But, quiet, small, contemporary, not edgy, etc. I kind of fell apart. These books were what I loved. These books were books I would have killed for as a kid. And no one wanted them. The people who liked them didn’t even want them. I cried a lot. I watched as all my friends got book deals. I felt ashamed and terrible, sometimes on a daily basis. I went to therapy. I escaped into other types of media because books were too heartbreaking. It’s hard to overstate how much I wanted to quit. But that thought scared me. Could I keep my writer pals if I was no longer a writer? Would people only look at me and see my failed dreams? Would I ever be able to be happy for other people without feeling sick about wanting something that wasn’t for me? I wasn’t sure, but I also knew life wasn’t for hating myself at every turn. If the literary world had no room for what I loved, then I knew not to overstay my welcome. So I quit. I decided not to write anymore. I put it out of my head that my first two books would be read by another soul. The really annoying thing was, though, that it didn’t stick. I kind of missed writing. I really missed my work in progress. I didn’t know if anyone would want to buy it, but my friends—my insanely supportive but brutally honest friends loved it. So I’d write a little more. I’d quit again. I’d write even more. I’d quit again. For, you know, ten minutes while I was in a bad mood. It’s hard to explain how much I wanted to quit. I imagined the world in which an email would never contain devastating news about my talent—or lack of—in the middle of my day. I thought about never feeling guilty for rewatching all of Parks & Recreation Season 3 for the twenty-seventh time instead of meeting my daily wordcount goal. But I couldn’t actually quit. It wasn’t a big exciting moment when I accepted that. I didn’t immediately buckle all the way down and finish the draft. I didn’t feel like all the years feeling rejected melted away when an editor offered to buy both of those books that I’d thought were forever shelved. In fact, honestly? I still quit all the time. Mean-spirited review, I quit! Work in progress going badly, I quit! Quitting, I wish I knew how to quit you. Actually, I’ve come to accept my love of quitting. It feels satisfying to tell myself I can just quit when something isn’t going right, because the truth is I know I won’t. The truth is I know I’ll take the time I need to get it together, and once I’m there I’ll keep going. You know. Until I quit again. 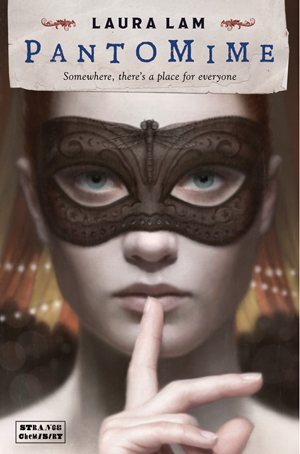 Amy’s debut novel, The Reece Malcolm List, was just published this month from Entangled Teen! 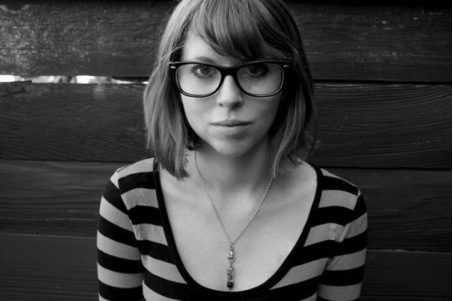 Amy Spalding grew up outside of St. Louis. She now lives in Los Angeles with two cats and a dog. She works in marketing and does a lot of improv. 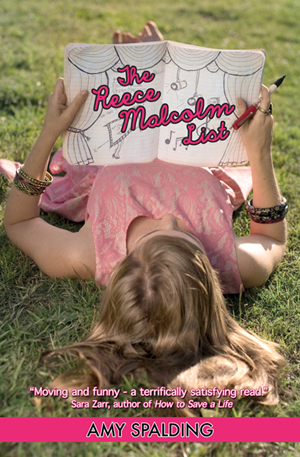 The Reece Malcolm List is her first novel, and Merrily We Roll Along is her favorite Stephen Sondheim musical. Visit Amy online at www.theamyspalding.com. 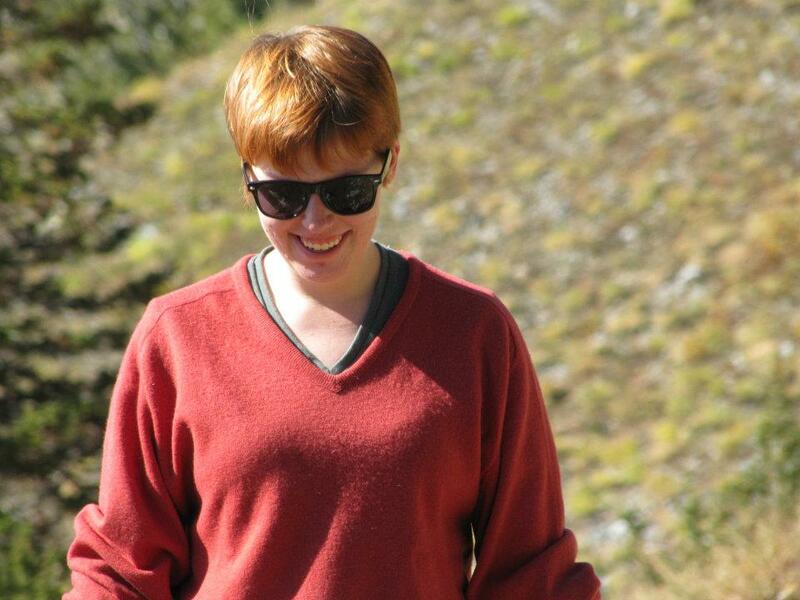 Follow @theames on Twitter and like her on Facebook. Let me just start off by saying I hope this doesn’t sound morbid. But I was reading up on a medical test I am having next week, and what the test is looking for, and realized there is a very slim chance it could be something serious, and of course being who I am my imagination ran off wild with the possibilities, and then I guess I found myself thinking of my life. Of what I’ve accomplished and what I still want to do. Mainly: what I still want to write. Also, symbolically, my birthday is next week. This may or may not have something to do with these Big Thoughts I’ve been having. If you’re holding back on something—saying you’ll write it later, you’ll do it later—what happens if later is right now? 17 & Gone. That was always the title—it was the working title before a word was written and it was the title when it landed as a proposal on my editor’s desk and it got to stay the title up through to today. We never discussed changing it, but I did go back and forth about the ampersand. You might think I’m a titling genius. I’m not. The book got its name from E. He’s a genius and I think the world needs to see that, but he’s mine and I am not sharing him with other writers, sorry. 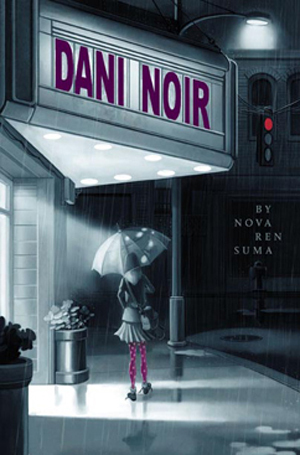 Before I started writing novels, I wrote short stories. I originally wanted to grow up to be a short-story writer. I don’t know why I thought I’d only write stories, to be honest, because I like to write very loooooong and it’s difficult to contain myself in a small amount of words. 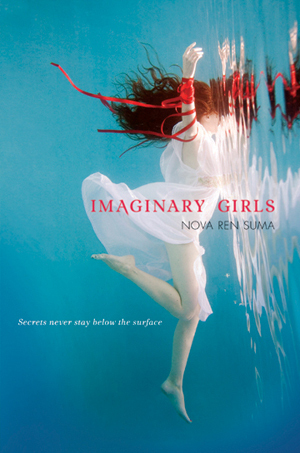 Anyway, so many of my stories were about disappearing girls. It’s been a lifelong obsession. 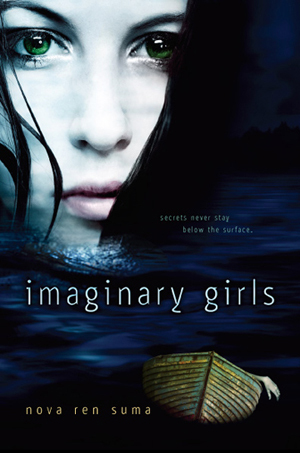 So the original idea for this book was a collection of short stories about disappearing girls… and as I was writing, the narrative voice got stronger and stronger. Lauren, the narrator, made herself known to me—and as she did I realized this wasn’t a series of stories about girls who were gone, it was also about a girl at the center of the missing, the one who tied this all together. I remember emailing my agent and being like, “Michael, I think I’m writing a novel,” like he’d be disappointed or something. He seemed amused (or maybe he knew this would happen all along?). Can we throw out the idea of one genre and one box? This is part ghost story part mystery part coming-of-age story part psychological thriller. One thing I can tell you is it’s not a romance. Or a Western. I don’t think there is one cowboy love interest in this story, I’m sorry. 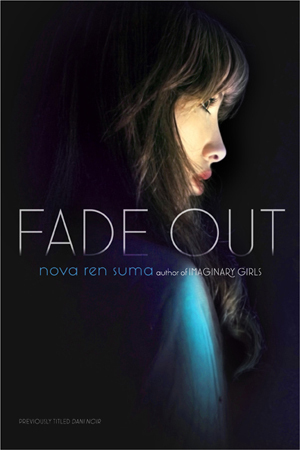 This novel is YA, but I don’t think it’s just for YA readers. Unknowns. Actresses you’ve never seen in anything before. In truth, I never write with actors in mind. I see my characters. Not impersonators. 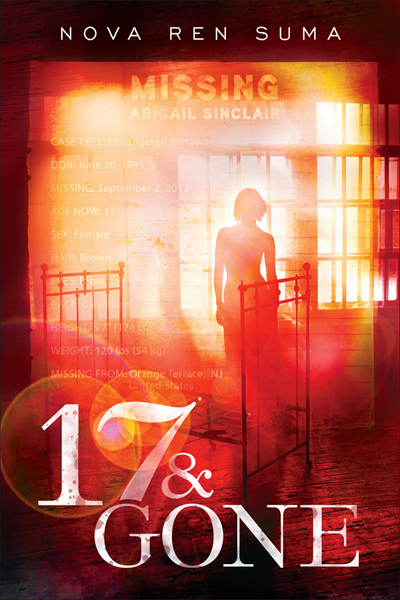 Seventeen-year-old Lauren is haunted by a host of missing girls—all she knows is they are all 17, and all gone without a trace—but does seeing them and knowing their stories mean she needs to help them, or that she must be next? Okay, let’s take a moment to agree that this is a ridiculous question. 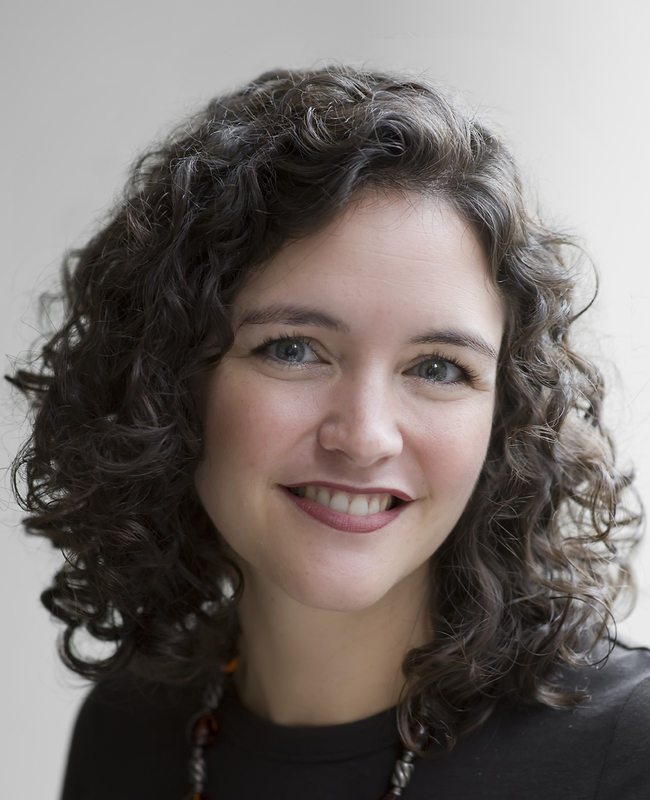 You can self-publish a book and still be represented by an agency. You can traditionally publish a book with a big publishing house and not have an agent (I did, for my first book). This question should be rephrased and I almost deleted it out of annoyance. 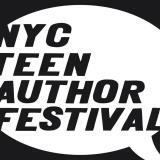 I am represented by an agent now, even though I wasn’t for my first book. His name is Michael. 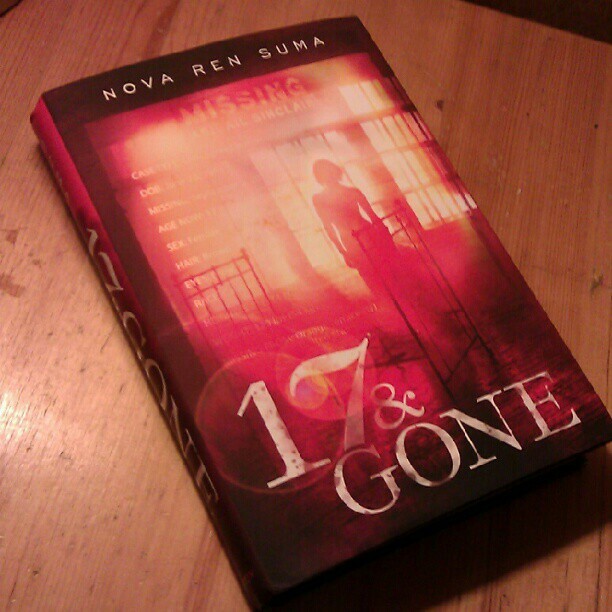 17 & Gone is published by Dutton, an imprint of Penguin. My editor’s name is Julie. All that is to say I am not alone in this. I like not being alone in this. This interview is making me sound really cantankerous, I am so sorry! Listen, I despise this question. It’s usually asked at author Q&As and book events, and I wonder if aspiring writers ask this in the hopes of hearing a magic answer: 24.5 weeks and you can have a novel of your very own, too! Or maybe it’s a competition. Maybe we’re in a race and I’m the one shuffling on the sidelines, refusing to play. It doesn’t matter how long it takes to write a first draft. Every novel is different. Every writer is different. We each write at our own pace, and that is okay. Beautiful, even. Just stop looking at everyone else and comparing yourself. Write how you write and take how long you take. You know what you’ll find at the end of all that? Your novel. The one you wrote, if it took you one week or a hundred and seven. But now you’re glaring at me because you want to know the math. Fine. I keep track of what I write in my iCal, like a little diary of sorts. The idea for 17 & Gone came on February 5, 2010. I showed my agent a pitch on February 9. Then I basically didn’t work on it for months. I had about 50 pages and stopped writing the draft on May 6, 2010. I didn’t return again to the first draft of 17 & Gone until I was away at another colony—MacDowell this time—in January 2011. About eight months later, I have a note in my calendar that says “FINALLY WROTE TO THE END!” on September 7, 2011. I officially turned in the first draft to my editor on September 9, 2011. I could have, maybe should have, taken another month or two to make the draft better than it was. So basically, it took about nine months, in fits and starts, with the final four weeks full of near desperation, panic, and speed-demon crashes. Does it change anything that you know that? I can’t think of one. Can anyone else? Help me out here? …I’m not saying this to tell you I’m so original. I am just drawing a blank. In a way, if you pick through the caverns of my imagination, I’ve been writing this book for almost twenty years. That’s not even an exaggeration. I was inspired by the lost and the missing. Ghostly shadows. Dark roads. Abandoned houses. Disembodied voices. And the vivid memory of being 17 years old, when I wasn’t always sure where I—or so many of my friends—would end up and if we’d all make it to eighteen. Girls go missing every day. They slip out bedroom windows and into strange cars. They leave good-bye notes or they don’t get a chance to tell anyone. They cross borders. They hitch rides, squeezing themselves into overcrowded backseats, sitting on willing laps. They curl up and crouch down, or they shove their bodies out of sunroofs and give off victory shouts. Girls make plans to go, but they also vanish without meaning to, and sometimes people confuse one for the other. Some girls go kicking and screaming and clawing out the eyes of whoever won’t let them stay. And then there are the girls who never reach where they’re going. Who disappear. Their ends are endless, their stories unknown. These girls are lost, and I’m the only one who’s seen them. I know their names. I know where they end up—a place seeming as formless and boundless as the old well on the abandoned property off Hollow Mill Road that swallows the town’s dogs. I want to tell everyone about these girls, about what’s happening, I want to give warning, I want to give chase. I’d do it, too, if I thought someone would believe me. There are girls like Abby, who rode off into the night. And girls like Shyann, who ran, literally, from her tormentors and kept running. Girls like Madison, who took the bus down to the city with a phone number snug in her pocket and stars in her eyes. Girls like Isabeth, who got into the car even when everything in her was warning her to walk away. And there are girls like Trina, who no one bothered looking for; girls the police will never hear about because no one cared enough to report them missing. Another girl could go today. She could be pulling her scarf tight around her face to protect it from the cold, searching through her coat pockets for her car keys so they’re out and ready when she reaches her car in the dark lot. She could glance in through the bright, blazing windows of the nearest restaurant as she hurries past. And then when she’s out of sight the shadowy hands could grab her, the sidewalk could gulp her up. The only trace of the girl would be the striped wool scarf she dropped on the patch of black ice, and when a car comes and runs it over, dragging it away on its snow tires, there isn’t even that. Say there aren’t any hands. Because what I sometimes believe is that I could be staring right at one of the girls—like that girl in my section of study hall, the one muddling through her trigonometry and drawing doodles of agony in the margins because she hates math. I look away for a second, and when I turn back, the girl’s chair is empty, her trig problem abandoned. And that’s it: I will never see that girl again. She’s gone. I think it’s as simple as that. Without struggle, without any way to stop it, there one moment, not there the next. That’s how it happened with Abby—and with Shyann and Madison and Isabeth and Trina, and the others. And I’m pretty sure that’s how it will happen to me. There! I hope this makes you want to read the book. It’s on sale on March 21, and you can pre-order from your favorite independent bookstore through Indiebound, on BarnesandNoble.com, or on Amazon. Christa, Christine, Heather, Kristina, and Merrie, you’re up! Can’t wait to read your answers to these questions!